Mrs. Helen Louise McClanahan Hill was born December 8, 1941, in Charleston, Mississippi, to the union of the late Alex and Henrietta Hill. She was granted eternal rest on December 30, 2018 at the Diversicare Nursing Home, Oak Ridge, Tennessee. She received her early education in the Charleston school system. Upon relocating to Oak Ridge, she attended Robertsville Middle School and graduated from Oak Ridge High School. After raising her children, she continued her post-secondary education and received her Bachelor degree from Tusculum College. Mrs. Hill was a former employee of the Office of Science and Technical Information. More recently, she was a substitute teacher in the Oak Ridge School system. On June 17, 1972, she was united in holy matrimony to James B. Hill Jr. She was member of the Mt. Zion Missionary Baptist Church. 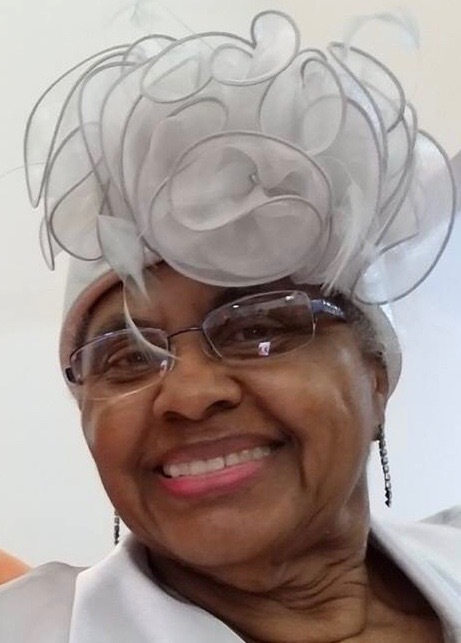 Over the years, she served in several capacities to include, Sunday School Superintendent, Monday Evening Study Session tutor, church missionary, and a member of the Senior Choir. She was also a member of the Atomic Chapter #13 Order of Eastern Stars. In her spare time, she enjoyed attending sporting events, reading, crossword puzzles, and being around her family. Along with her parents, she was preceded in death by her son, Derrick McClanahan, her brothers, James, Nathaniel, Thomas, and Alex Hill; sisters, Maxine Cohran, Mabel Pippins, and Gloria Gilmore; and mother-in-law, Mary Lackey. 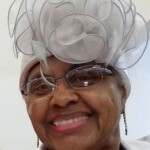 She leaves to mourn her passing, her husband, James B. Hill, sons, Darrell (Angela) McClanahan, Dwayne (Jackie) McClanahan, and Jamil (Denise) Hill; sisters, Lou Ella Houston and Mary (Vernon) Swann; brothers, Ernest (Nancy) Hill and Grant (Alfreda) Hill; 17 grandchildren, 11 great-grandchildren, nieces, nephews, devoted friend, Eloise Mitchell, and a host of other family members and friends. The family would like to thank the staff at Diversicare who so graciously tended to her needs while she was in their care. The Celebration of Life Service will be held Saturday, January 5, 2019 at 5:30 p.m. at Mt. Zion Baptist Church, 195 Wilberforce Avenue, Oak Ridge, Tennessee, with Elder J. B. Maddox as Officiant and Elder D. W. Waters as Eulogist. This obituary was posted on Sunday, December 30th, 2018 at 10:16 am. JB and family I pray you all are comforted by our Creator’s mercy. Ms. Helen is resting in paradise but she left strong impressions on all that met her. My thoughts and prayers are with all of the families and friends.may our Lord hold each of you in His Arms, hold on to all of the knowing that she is just sleeping and one day that we that is in Christ shall see all of our love ones again. I pray that down thur the years God gives each of you peace.know that she is just sleeping and without pain,for she is now in the present of the Lord.we all shall miss her and we pray for you all,for I know that this walk of life can and is hard, but I know God will bring you peace. Again my prayers are with you all…sihp dear sweet lady sihp….sleep in heavenly peace!!!! !